This is another Arduino Nano shield which can drive a Brushed DC Motor in both directions with PWM signal for speed control and it also includes current trip feature. Project is based on DRV8870 IC which can handle current up to 3.6Amps, The shield also includes an IR sensor and trimmer potentiometer. 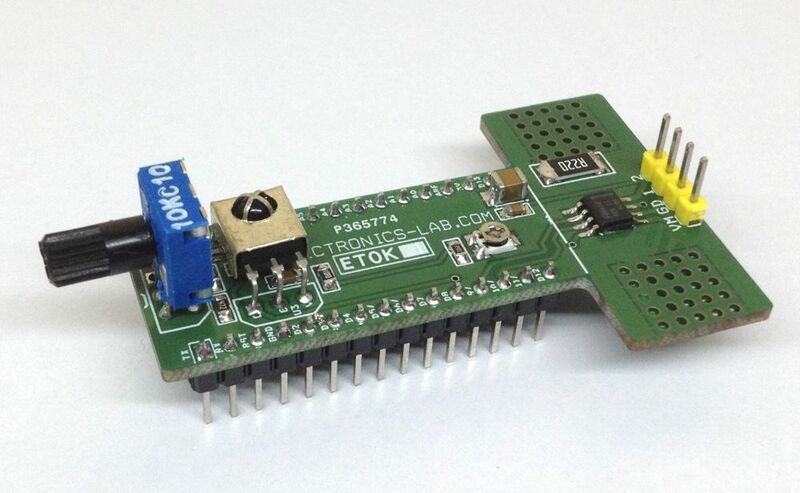 Trimmer Pot helps to develop speed motor control application, IR sensor can be used to make remote based DC motor driver. 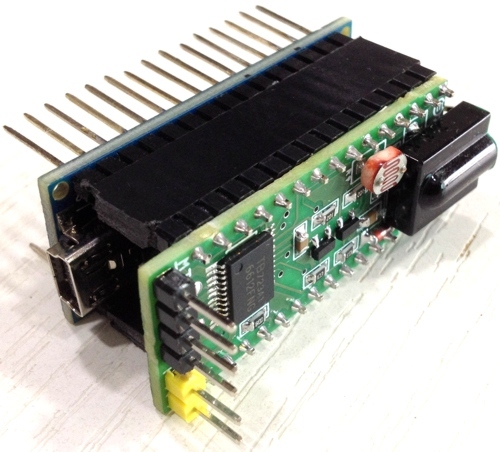 DRV8870 requires two PWM signals to control the motor speed and direction and both these pins are connected to D9 and D10 PWM pins of Arduino Nano. Analog pin A0 connected to Trimmer Pot, digital pin D12 connected to IR sensor, two IN1 and IN2 PWM pins are connected to Digital PWM pin D9 and D10 of Arduino Nano. 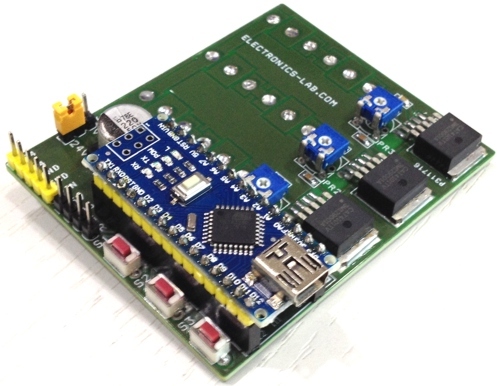 The board can drive brushed DC Motor up to 3.6Amp and voltage 6.5V to 12V DC. 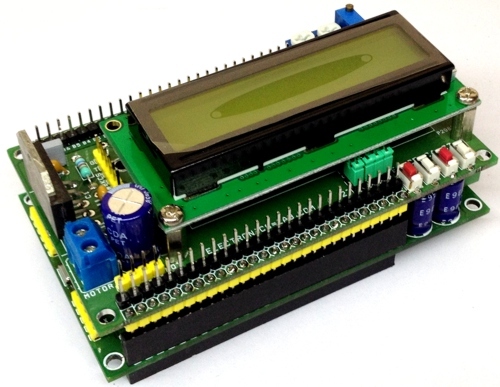 This shield can drive higher voltage DC motor up to 45V with few changes. Remove R3 and D1 and use higher value and voltage rating capacitor C1 on motor supply. Trimmer potentiometer PR1 is used to adjust the maximum load trip current. For more information refer DRV8870 datasheet.